Like the spreading roots of a tree, or the haunting silhouette of branches against a golden sunset, this striking lokta paper lamp shade brings a touch of nature indoors, but with a contemporary feel. Four sizes in stock and ready to mail. Made from tree free handmade Nepalese paper, the mustard colored background is silkscreened with crisp, sinous, intertwining black lines. 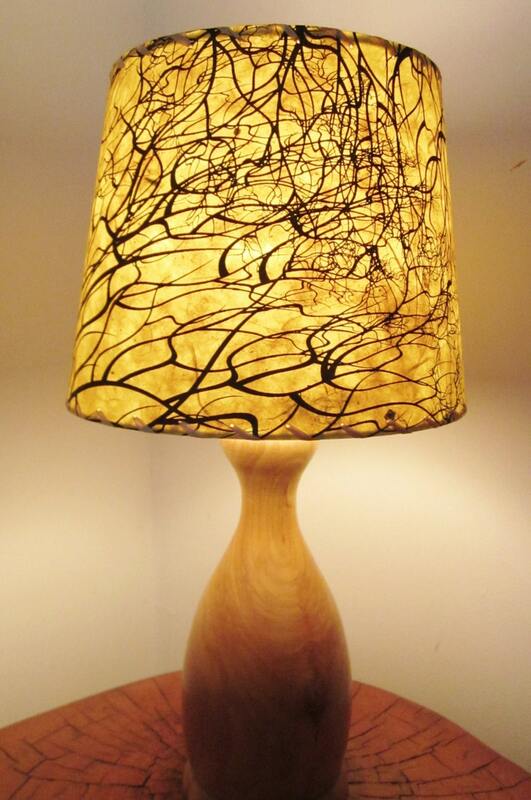 When your lamp is lit, it has a warm glow and the black tangled roots really stand out. Other sizes are available, please contact me with your measurements. All lamp shade sales are final so please be sure this size and hardware will work for your lamp. Other sizes available, please convo me if you need a different size.